Kensington Aldridge Academy is a school that reads. We know that reading for pleasure is of primary importance because when you read often and with enthusiasm, you lay foundations that last for life. Reading is an important gateway to personal development, and to social, economic and civic life (Holden, 2004). It allows us to learn “about other people, about history and social studies, the langue arts, science, mathematics, and the other content subjects that must be mastered in school” (Lyon, 1997). As noted by the Department for Culture, Media and Sport (2003), “people cannot be active or informed citizens unless they can read. Reading is a prerequisite for almost all cultural and social activities”. Upon entry to KAA all students complete a New Group Reading Test (NGRT), a standardised reading test consisting of multiple-choice and sentence-completion questions. This test gives us a Reading Age (RA) for each student – this is his or her reading ability expressed with reference to the average age at which a comparable ability is found. This is given in years and months, so a RA of 11.5 means that a student is reading at the equivalent of a child of 11 years and 5 months. To read more about the New Group Reading Test, please visit the GL website. Students in key stage 3 are grouped with those of a similar reading age for Morning Reading sessions during Prep. At KAA, all our teachers and are trained in how to teach reading. All key stage 3 students have a 25 minute reading session with their reading teacher each day. The overall aim of these sessions is to create students who are confident and enthusiastic readers, and as such, sessions are tailored to the needs of each group. Our library keeps class sets of a large range of children’s fiction selected to introduce students to a range of genres and authors. Morning Reading classes read books that are selected to challenge their reading ability and develop their vocabulary. Students and their teachers read out loud to each other while everyone else follows. Because we take students’ reading ability seriously, we are always looking to ensure that students’ reading is developing. For this reason we regularly assess students’ comprehension of what they are reading, through dynamic discussion, the use of graphic organisers, other active reading strategies. If students are going to love reading they will need to learn to find books that they love and to read them on their own. For this reason students read books that they have chosen for themselves on at least one morning a week. Keen readers wishing to stretch themselves are encouraged to read books from the Reading Challenge list. A small number of students enter the school with a weak reading age. For students with a RA below 9 progress is tracked via computer software in order to provide specific measures and support that will allow them to make significant improvement. These students are given targeted intervention in Year 7 to improve their reading age. Lexia Learning is a phonics-led IPad/PC based program which enables students to master essential reading skills. Students below reading age 9.9 (and therefore are unable to access the curriculum) use the Lexia programme 3 to 4 days a week in the designated Lexia classrooms. Students are placed in groups of no more than 10 and two members of staff – teachers or teaching assistants – work with them, track progress, and deliver any required interventions. Student progress is ‘live’- teachers and staff can log on and immediately see how a student in their group is doing. We can’t build a school of life long readers alone; our approach is systemic, reaching across home, school, our partnerships and the community. 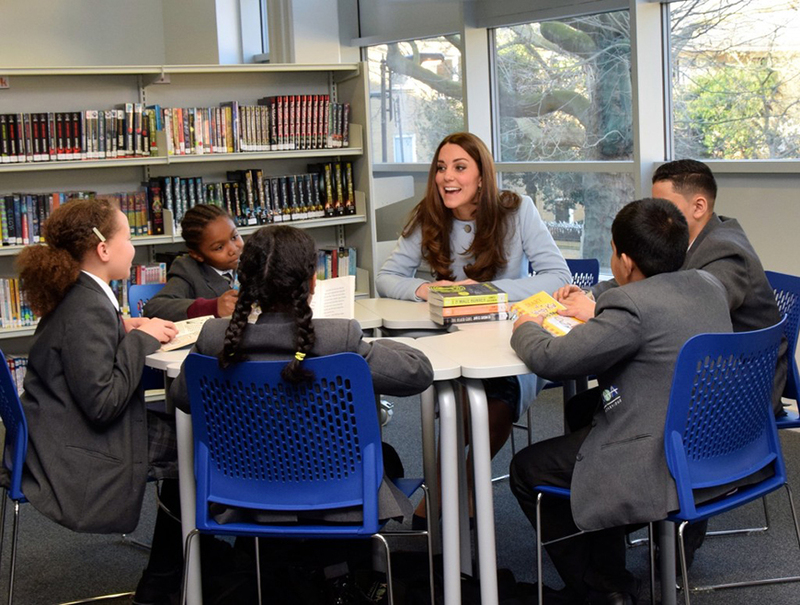 We encourage students to be active users of the both the school library and public libraries in the borough, we expect every student to carry a reading book with them to school every day, and our rich curriculum encourages extensive reading of books and texts in different formats and genres. Through this deeply embedded reading culture our students will become life long readers.